Spear's 2017 mural featured a cheese block, two mice and a cat, and was entitled "Who Is More Foolish, The Fool or the Fool Who Follows". The 2018 AIA Conference & Exposition on Architecture kicks off at the Jacob Javits Convention Center in New York tomorrow (June 21-22) and one of the highlights will be a work of art in-progress at the Sto Corp booth — #1768. 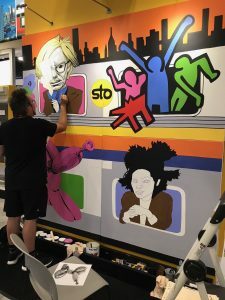 Work In Progress: Andrew Spear fills in the details of his 2018 mural for Sto at the AIA Expo in NYC. Andrew Spear, @spearlife, a NYC-based, “live mural artist”, will be creating a mural on the walls of the Sto Corp booth during the show. This socially provocative scene designer is back by popular demand after creating a comparable mural at the 2017 AIA show. Using the versatile Sto Acryl coatings – and no other medium – he will be transforming the walls of the Sto booth into a work of art entitled “Funky 4 + 1”. Spear, who describes himself as a community activist, cultural instigator and music enthusiast, is consistently testing the boundaries of his artistic imagination. And the AIA project is yet another demonstration of how Sto’s state-of-the-art building materials can also test boundaries and enable creativity. If you’re at the show, swing by. Don’t miss the master muralist at work, and register for a free print of Andrew’s work. 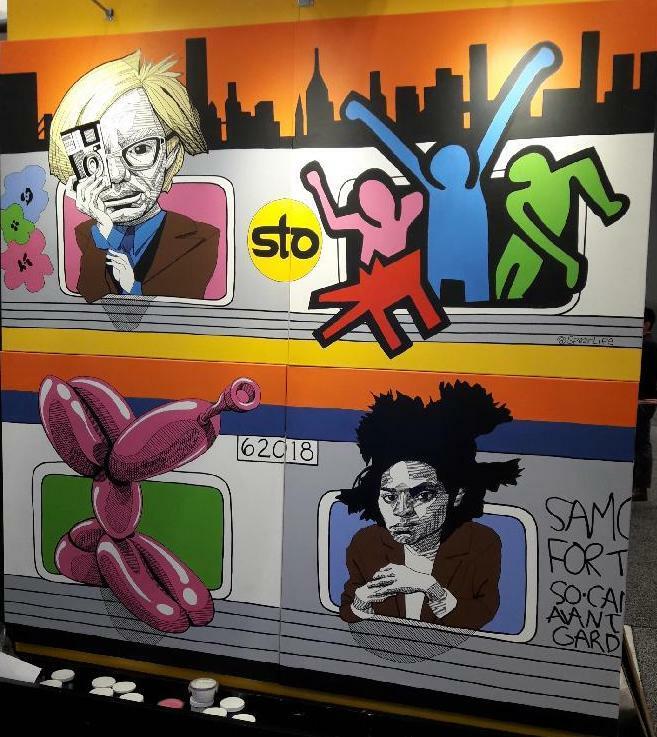 The Finished Piece: Spear’s hommage to fellow artists Andy Warhol, Keith Haring, Jeff Koons and Jean-Michel Basquiat riding the NYC subway is called “Funky 4 +1. The mural “ingredient” is StoColor Acryl Plus. The highly innovative Spring Street Salt Shed, in Manhattan, by Dattner Architects in association with WXY architecture + urban design, was also honored. This New York City industrial facility was transformed into urban art; “a visual oxymoron to sanitation” said the judges who applauded the project for raising the bar on civic infrastructure design. 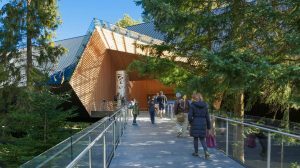 The American Institute of Architects (AIA) has announced its Honor Award winners for 2018, which include projects from around the world designed by architectural firms both large and small. From a girls’ school in Afghanistan to a municipal salt shed, this year’s widely diverse group of winning projects will be honored at the AIA Conference on Architecture in New York City in June of this year. The Honor Awards, now in their 69th year, were selected by a jury consisting of architects and academics who judged projects based on “outstanding excellence and innovation”. 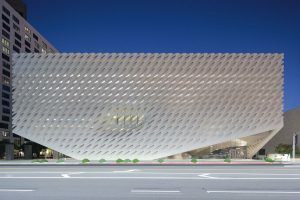 Another award-winning museum was The Broad in Los Angeles, designed by architects Diller Scofidio + Renfro in collaboration with Gensler. The contemporary art museum is home to more than 2,000 works of art in the Broad collection, one of the most prominent holdings of postwar and contemporary art worldwide. The 120,000-square-foot building features two floors of gallery space. 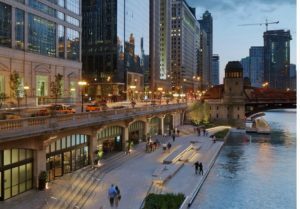 The Chicago Riverwalk, by Ross Barney Architects & Sasaki Associates, also took top honors. A once neglected downtown riverfront area, it is now a reinvented urban space with a wide range of amenities that reflect the city’s layered and diverse history. 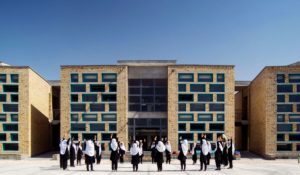 Another award-winner was the Gohar Khatoon Girls’ School, in Mazar-i-Sharif, Afghanistan, designed by Robert Hull, FAIA, and the University of Washington, Department of Architecture. A modern take on masonry construction, the school’s beautiful yet restrained aesthetic creates an urban oasis and promotes community engagement as well as reflecting a new era for girls and women in the country. Other architectural design winners were: the Mercer Island Fire Station 92, in Washington by Miller Hull; the new United States Courthouse by Skidmore, Owings & Merrill in Los Angeles; the Vol Walker Hall & the Steven L. Anderson Design Center, a state-of-the-art architecture, landscape architecture and interior design school, by in Fayetteville, Arkansas, designed by Marlon Blackwell Architects; and the Washington Fruit & Produce Company Headquarters, in Yakima, Washington, by Graham Baba Architects. 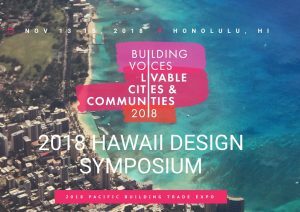 One of the keynote addresses at the AIA Conference in Orlando this week is “Anticipate Need: Architecture that Matters,” which focuses on the renowned architects who are creating iconic buildings that shape and serve a given community. The topic of designing exemplary public buildings is also trending in Architectural Digest right now. In urban settings, municipal buildings often fail to live up to the high-minded ideals of their related institutions. Though these structures may be dedicated to justice, education, sanitation, or public safety, their designs usually reflect budget constraints and bureaucratic compromise more often than they do civic virtue. 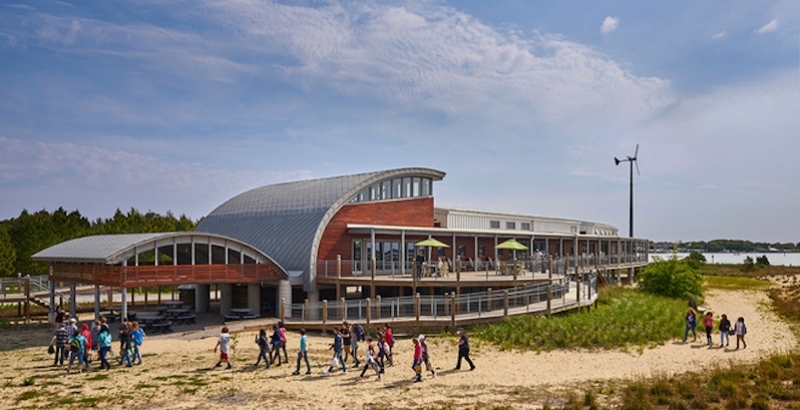 In recent years, however, top architects have taken on modest municipal projects in the metropolitan New York area to apply their considerable talents to everything from police and fire stations to neighborhood libraries, sanitation garages, and recycling plants. In Long Island City, Queens, NY, Steven Holl’s Hunters Point Community Library is likely to become the waterfront’s third landmark when it opens this summer, joining the local Pepsi-Cola sign and ferry gantries in drawing public attention. In the South Bronx, Denmark’s Bjarke Ingels Group is designing NYPD’s 40th police precinct headquarters—the second outer-borough police station done by a big-name architect. The Chicago-based Studio Gang is designing a firehouse in Brownsville, Brooklyn, and a proposed 911 call center in the Bronx will be the work of Skidmore, Owings and Merrill (SOM). Such projects, though scattered and few, suggest that civic architecture, largely neglected since the urban flight of the 1960s and ’70s, is having a renaissance. Architectural pundits suggest that public projects such as these are important because they communicate an imaginative aesthetic to a large audience, allowing architects to adhere to their Hippocratic oath to improve the built environment, and to bring synthesis and integration into what could be a haphazard or bland urban infrastructure. 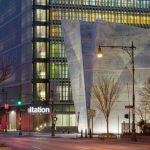 Civic commissions are invariably modest compared to those for a luxury, high-rise condo or a corporate headquarters, but the municipal sites have a unique appeal in that they offer architects an opportunity to reach the public-at-large in a different and significant way. Such projects make the subtle case that public institutions serving the community still matter.